How do I prevent and combat algae in the reservoir? 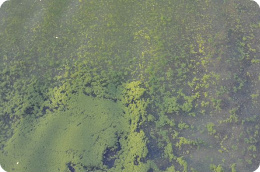 Stagnant water can cause heavy algae growth. This has multiple negative effects. First, algae growth is bad for the water quality. In addition algae can clog pipes, pumps and droppers. It is therefore important to prevent algae as much as possible and, if needed, to combat. We’re giving you tips. Algae need light and heat. By shielding the reservoir from light, algae will not have a chance to grow. Technical product specialist Eef Zwinkels can advise you regarding the options for covering your reservoirs. Among other things, algae feed on sediment and sludge. By keeping the reservoir clean , you will remove this food source, which prevents algae from developing. Algae thrive best in stagnant water. Therefore keep the water in the reservoir moving by placing a pump that returns water back to the reservoir through sprayers in it. This also helps to increase the oxygen levels thereby decreasing the nitrogen levels. It is positive, as the algae will have less nutrients at their disposal (algae live of nitrogen among other substances). When the water level in the reservoir is high it takes longer for the water in the bottom to heat up, which decreases algae growth. There is also less turbulence, and with that, less spread of dirt, and with that, less contamination of the filter system in case of a rain shower. Prevent contamination from another source, such as the intake of ditch water. If you do find algae in your reservoir, you can combat them by lowering the pH in your reservoir water. In most cases there will be no algae problem when the pH is lower than 6. Adjusting the pH levels can be done by dosing 20 liters 37% sulphuric acid per 1000 m3 of water. (Consider the lower pH in your fertilizing program. Test the water often because of this). Ensure that there is no contact with the reservoir cover when adding the acid, as sulphuric acid can affect the cover. Dose the solution in a measuring container and try as much as possible to get the solution in the middle of the reservoir. Don’t let it run along the side! When there is a lot of organic contamination you can additionally work with hydrogen peroxide in the reservoir. Application: preferably at the end of the afternoon with a dosing of 10 liters per 100 m3 reservoir water. You can also preventatively add the product Proteck. For this, use 1 liter of the product per 250 m3 of reservoir water. For this the pH level in the reservoir can be 7 at maximum (first lower a higher pH value with sulphuric acid). Dose this product in the reservoir corners and repeat the treatment after a rain shower. Remember safety and always wear protective clothing when working with chemical substances. Do you have questions regarding algae prevention or combating in the reservoir? 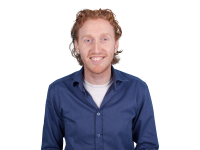 Contact product specialist Jan-Willem Keijzer or fill in the form below. We'll respond within 24 hours on working days.